Being a parent of a kid who is interested in sports can be an incredibly positive and rewarding experience. 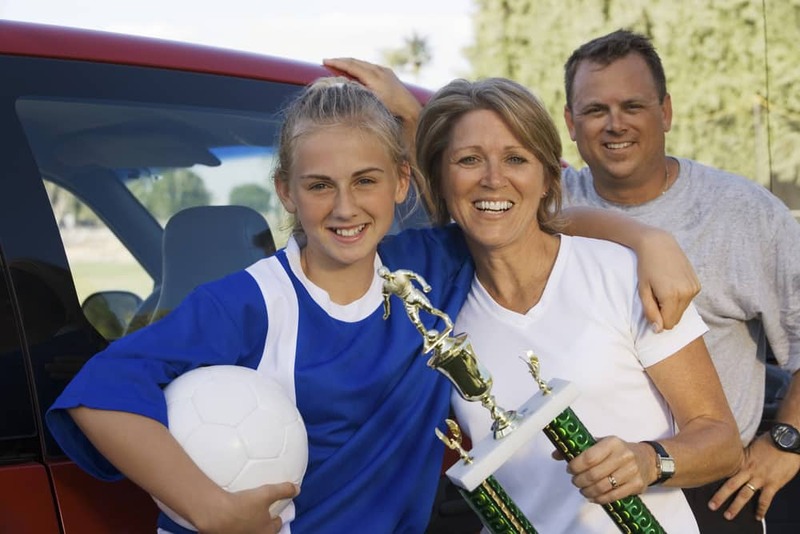 Not only is it great for ensuring that your child learns to stay active and healthy throughout their life, but parents who have a background in sports can bond with their children over their shared love of athletics. However, one of the most difficult things to manage as a parent of an athlete is dealing with all the equipment and gear that your child will need for each season. Whether they are interested in soccer, baseball, football, or anything else that catches their attention, you are going to need a place to keep their stuff. Today, Affordable Family Storage would like to discuss how a storage unit may be the perfect solution for your child’s sporting equipment. With youth sports, very rarely does a child become interested in only one sport. Most often, they find one activity that they are interested in and make friends on their team. The opportunity to play other organized sports with those friends often leads athlete’s to play multiple sports. Each of these activities requires that you properly equip your child from shin guards, cleats, and soccer balls for a child that is interested in soccer, or ball gloves, bats, and sliding pants for a youth baseball player. You will find that very quickly, your home has become filled with gear and equipment. Most importantly, these athletics seasons only occur during part of the year. So many parents find that for eight months out of the year, this equipment is only taking up valuable space in their home. Instead, you can opt to rent a storage unit that will allow you to keep your child’s equipment safe and out of the way during their off-seasons. Your youth athletes equipment is surprisingly expensive. For many pieces of gear, it is in your best interest to ensure that it can last more than a single year. Throwing a baseball glove in the bottom of a closet where things are constantly being moved around can cause more wear and tear on the glove. A climate-controlled storage unit will ensure that your kid’s equipment stays in good shape and doesn’t suffer the wear and tear that it would if it was simply left in your child’s room. Our storage units are climate-controlled and our 24-hour security will ensure that your belongings remain safe and sound during their stay with us. If you have suddenly found your home inundated with equipment and sports gear, contact us today to learn how our storage units can free up valuable space in your home.